Rademon Drinks in Crossgar has been assisted by Invest Northern Ireland to develop and launch the first premium gin in the country for over a century in a £500,000 project that will also provide three new jobs. The company’s ShortCross Premium Gin is the first in a portfolio of small batch alcoholic beverages that the company plans to develop at its new boutique distillery. 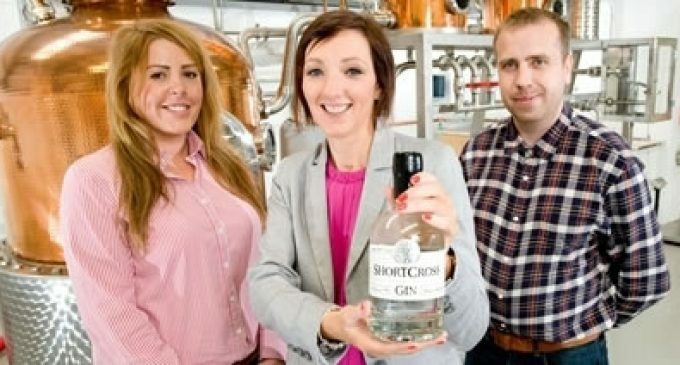 Pictured are Fiona and David Boyd-Armstrong (left and right) of Rademon Drinks with (centre) Moira Loughran, Invest NI. Image by Parkway Photography.